Right now just about everything is new, or recently posted! Stuff for sale. To shrink the unused pile. 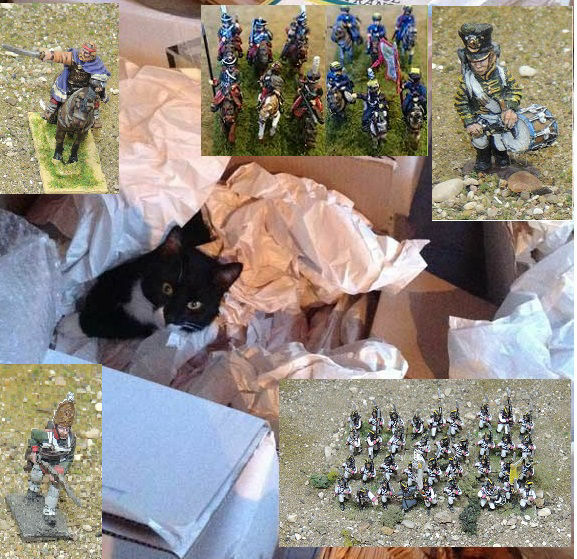 To see bigger pics, right click "view picture"
Trying to set up again what helped me tremendously two decades ago: a miniatures directory cross referencing period, subjects and manufacturers. I will need your input too, as I do not know everyone by far. Intend: show my games, find similarly minded players, share ideas, promote my stuff for sales, help others not to stumble on the same rocks I did. 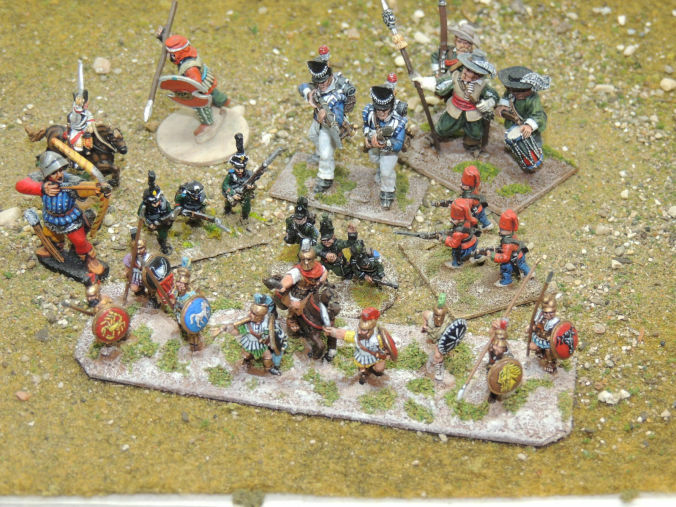 I played Historical Miniatures and Boardgames for decades. Military History buff of course? From France and Russia! 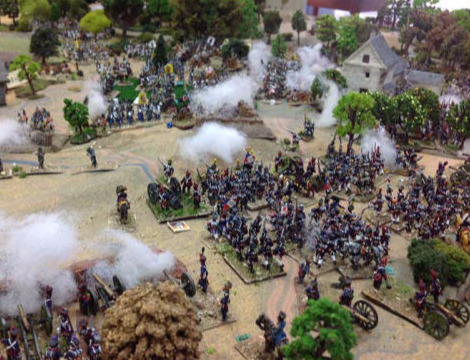 Historical wargaming; Sharp Practice AWI; Napoleonics; By Fire and Sword; Impetus; Baroque; Miniature Wargames; 1870; Seven Years War; Historical research; Historical boardgaming; miniature comparisons; Terrain making. 15-18mm. Home of the "Napoleonic Balls, Fire and Steel " rule.